Addressing the nation on 08/11/2016 Prime Minister Shri Narendra Modi has announced demonetisation of Rs 500 and Rs 1,000 currency notes. Modi said that starting tonight the Rs 500 and Rs 1000 notes will only be worth the paper they are printed on. This sudden announcement of PM Modi surprised everybody and also created fear and so may doubts in minds of people. 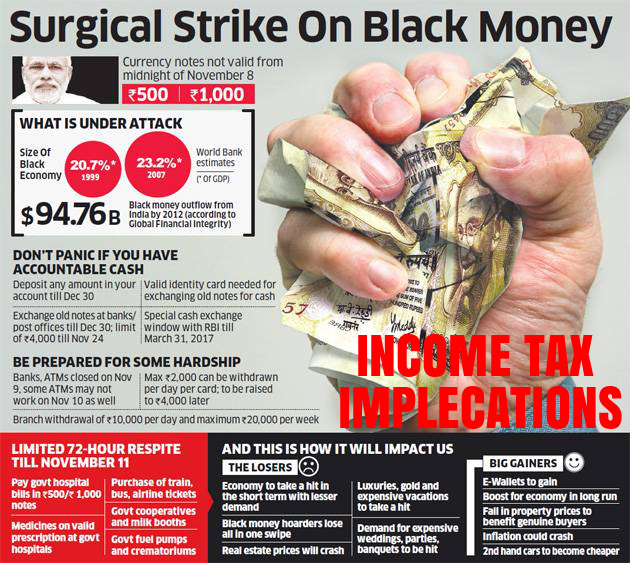 Although few days have already been passed since this announcement and several clarifications have been given from government side but still there are lots of doubts and confusion in the minds of general public regarding conversion of old currency notes into new one and income tax implications on Deposition Rs 500 and Rs 1000 Notes in their Bank Accounts. In this article, I have tried to sum up all relevant information regarding this event and I hope this will be helpful for you to take correct and necessary measures. Is there any limit for cash deposition in your Bank Account ? Absolutely no, there is no limit for cash deposit in your bank account, you can deposit as much you want. How much cash amount you should deposit in your Bank Account. I think this is the most important question but unfortunately there is no clear cut answer to this question, as the answer to this question varies from person to person. In this regard even in the electronic, social and print media there are so many rumors and incorrect/incomplete information, which is also misguiding the general public. Depending on your case you should consider following points before cash deposition in your account. 1. If you have Up to 2.5 lakh: If have money up to 2.5 lakh, then go ahead and deposit the same without any fear. Finance Minister also in his speech said that we will not going to disturb or ask any question on deposit up to 2.5 lakh. 2. 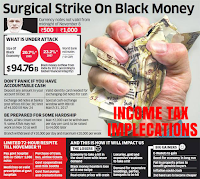 If you have Up to 10 lakh : If you have more than 2.5 lakh to deposit and if your last year’s income tax returns supports your current earning capacity to accumulate the sum of cash amount you want to deposit then you can deposit the amount, Though the government will be keeping an eye on this category as well, however there are little chances that government will interfere in this category. But If your returned income does not match with the amount you want to deposit then you may deposit this sum breaking into a smaller sum of rupees 2.5 lakh and may deposit in into the bank accounts of your family members. 3. If you have more than 10 lakh : Anything over and above 10 Lakh will catch the eye of the Income tax department. If your returned income does not match with the amount you deposit, then you might be in trouble. Example : suppose, you regularly file the ITR with 6 lakh income. Now suddenly you deposit the sum of 30 Lakh in your account which cannot be justified with a small income. Hence, department may treat this income as unexplained credits and may tax the income at 30% with 200% penalty under section 270A. But if Income tax department have to slap any sort of penalty, they levy it under income tax act, 1961 by following a proper procedure. 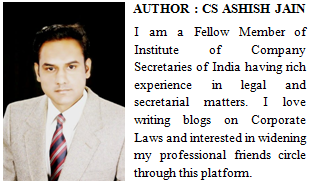 Hence, let us understand the type of depositors and the chances of penalty imposition upon them. Once you deposit the sum into the bank account and under scrutiny proceedings, you were unable to justify the sum, then IT department will deemed that deposit as unexplained credit or cash credit under section 68 of Income tax act, 1961. Once it is proved that the cash deposit is cash credit under section 68, and then it shall levy the tax rate of flat 30% without even providing the basic exemption limit. Penalty under section 270A: Once it is proved that you are a mischief, then penalty provision under income tax act would automatically comes into picture. The AO shall use the section 270A, to levy the penalty of 200%. a) Misrepresentation or suppression of facts. b) Failure to record investments in the books of account. c) Claim of expenditure not substantiated by any evidence. d) Recording of any false entry in the books of account. f) Failure to report any international transaction or any transaction deemed to be an international transaction or any specified domestic transaction, to which the provisions of Chapter X apply. (ignore, applicable in case of international transaction). Hence, the above three sections will play a big role under IT department scrutiny. 4. 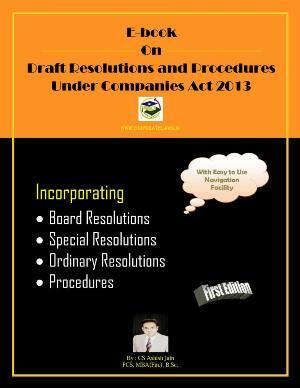 In case of Company and Firms : In case of Company and Firms it is required to prepare books of accounts as on 08/11/2016 and ascertain the cash position of the organization on that day and deposit the cash accordingly, because you can not deposit cash, over and above cash balance on that day, as you can not accept old Rs 500 and Rs 1000 notes from 09/11/2016. Is there any time limit to exchange these notes? People have 50 days, from November 10 to December 30 to deposit notes of Rs 500 & Rs 1000 in any bank or post office. Besides depositing money in bank accounts, the Rs 500 and Rs 1000 notes can also be exchanged with lower denomination currency notes at designated banks and post offices on production of valid government identity cards like PAN, Aadhaar and Election Card from November 10 to November 24 with a daily limit of Rs 4000. Are there any restrictions on other transactions? There are no restrictions on card payment, cheque, demand draft, electronic funds transfer. However, there is a limit on daily and weekly withdrawals. ATM withdrawals will be restricted to Rs 2000 per day and withdrawals from bank accounts will be limited to Rs 10,000 a day and Rs 20,000 a week. Disclaimer : In this article I have given my views to help you to take correct and informative decision but it should not be treated as any kind of financial advice from my side kindly concern your financial adviser before acting on any of the above views. What if my grandfather deposit in his account 5 lac rupees. He is super senior citizen and he haven't filed any returns till now. As I mentioned in this article that "The most important point of this whole process starts from non justification. Hence, if you can justify the deposits and has already paid the full taxes, then no penalty can be imposed upon you" so in case clarification asked from IT department he must be able to show the source of income from where he has earned this income. As you said that he is senior citizen so he can say that it is his past year savings when he was earning income which was less than taxable income during that period so no income tax return was filed by him. Can I daily exchange upto rs 4000 from bank or this offer can be used only once, till 24th November? No you can not do so, this facility can be used only once.